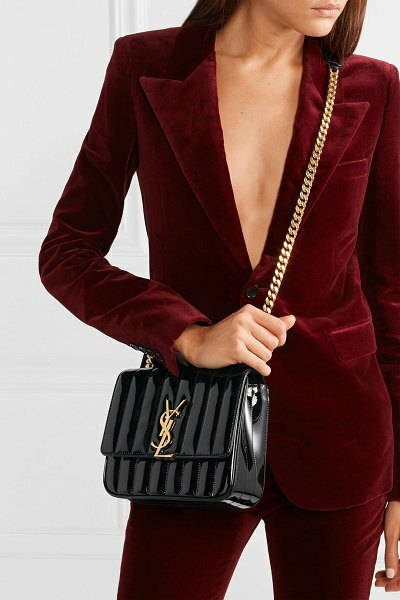 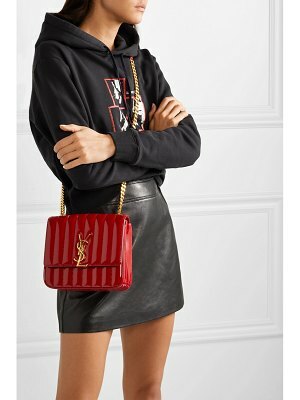 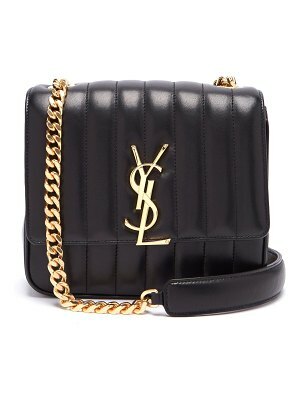 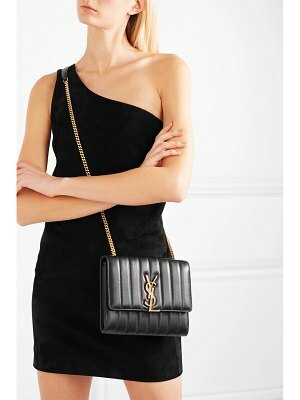 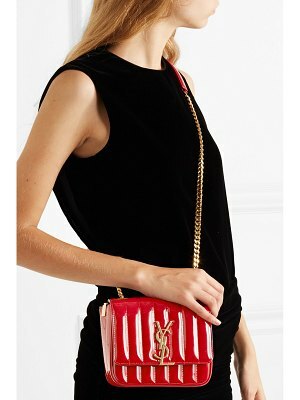 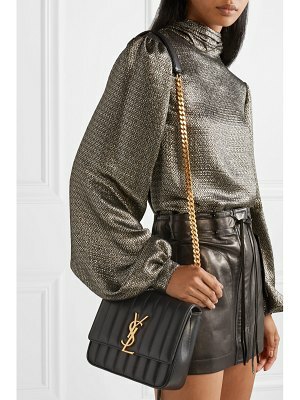 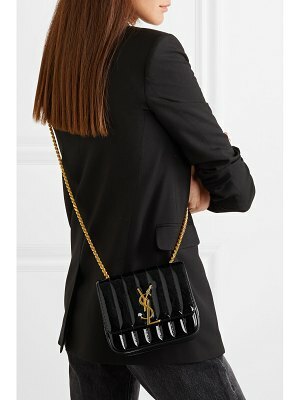 Saint Laurent's 'Vicky' shoulder bag was first introduced in the Spring '18 collection, and editors and fans alike particularly love the '80s-inspired silhouette. 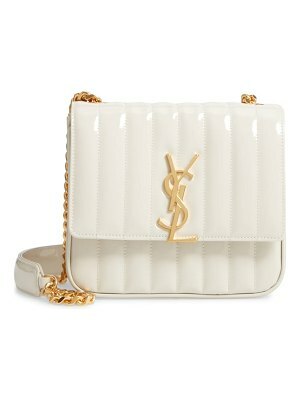 This style has been crafted in Italy from glossy patent-leather and has vertical matelassé quilting and a polished gold logo plaque. 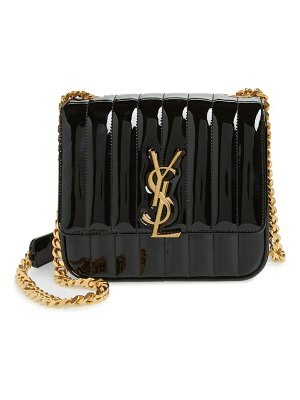 Keep your phone and cardholder tucked in the back pocket for quicker access.